They are finally here, 4 beautiful little girls. all healthy! 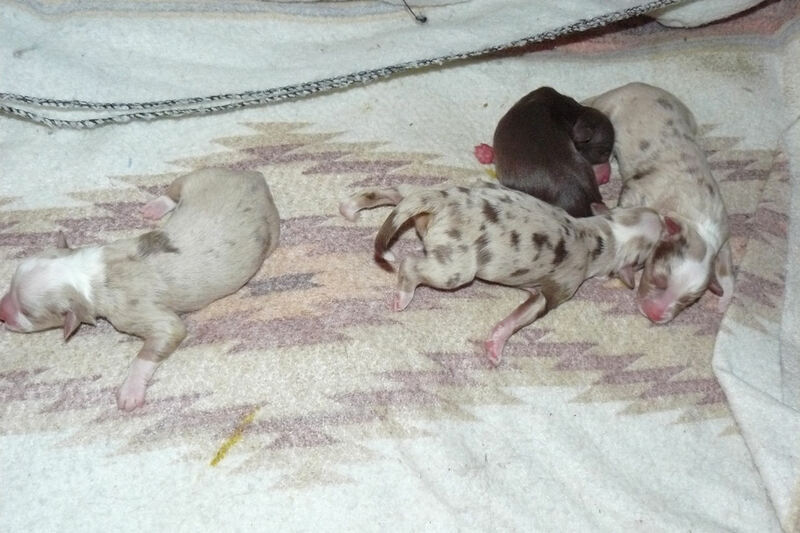 3 Red Merle’s and 1 Red Tri. They started coming at 8.15pm last night! I will try to get better pictures soon! Now its time to get a little sleep! Girls Rule!! Between the two litters – 8 girls and 1 boy……wow! Will be anxiously awaiting to hear updates and see photos. 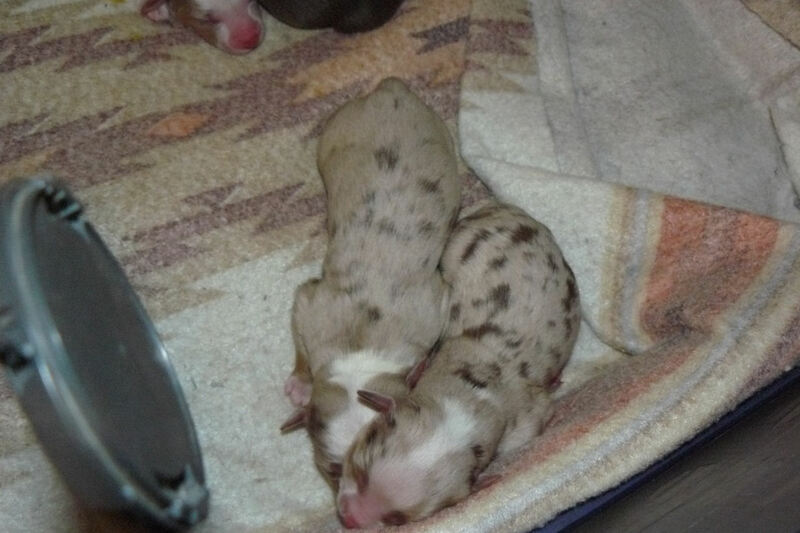 No Blue Merle Females though, sorry. The Reds will be gorgeous thou!!!!!! We actually ok with that. We been talking the benefits getting a different type of coloring than RIo. I am do like the Reds but the Blacks are cute too. It will be nice to have a girl. How old are they before you have a sense of their size ( I know that is hard to tell right now)? Also, when do you start the process for choosing one? Kids were curious. At about 6 weeks for size and choosing.